The Souvenirs of Public Political Executions? QUESTION: Mr. Armstrong, I believe you mentioned at one of the conferences that the Chinese dragged a member of their high court out into the square and set him on fire in his judicial robs. Am I correct in that statement? When was that exactly? ANSWER: You are not far off. Zang Tang (? – 116BC) drafted the laws under Emperor Wudi (Wu-ti) ( 漢武帝) (141-86BC), and made treasonous thoughts (CONSPIRACY) the death penalty, was eventually he himself compelled to commit suicide as his view of the law led him to be the most hated among all of the ministers under Wudi. Yet the minister Chao Cuo (? – 154BC) under the previous emperor Ching-ti (Liu Ch’i)(157-141BC), earned the hatred of other ministers after he introduced 30 new laws. 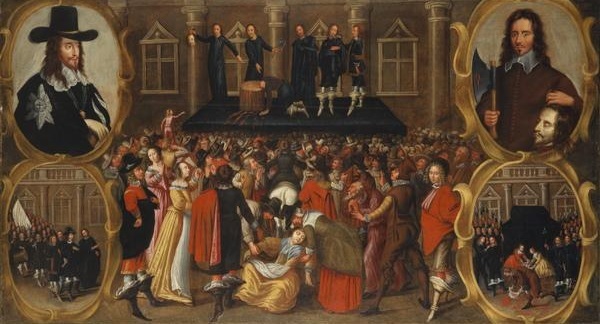 The outrage was so intense, he was dragged out and executed in his judicial robes in the town marketplace. There was far greater resistance toward changing the laws in China than there was in Rome. These incidents of publicly executing ministers who tried to make the laws even harsher were not unique but became far more common in China compared to the West. Still, that is not the worse of such events to drag public officials out and execute them. Back in 1672, the Dutch killed and even ate their Prime Minister. I wonder if some people who hate Trump that much would not do the same today and CNN would probably broadcast it as a special event. Back then, the Dutch House of Orange was the nearest the republic had to royalty. They were at war with England and France and the effective Prime Minister was Johan de Witt. He was seen as being supported by the merchants who profited by war. Johan de Witt visited his brother who had been arrested on trumped-up charges of plotting to assassinate Willem of Orange. During a visit with his brother in prison, on August 20th, 1672, a mob gathered outside the prison and then stormed it taking both brothers who they then hanged and then mutilated carving them up. Willem never prosecuted anyone for this event which made it appear he sanctioned it. Nevertheless, what has been handed down in history is accounts that some among the mob were taking parts of the bodies, and eating them. One man is even said to have eaten Johan’s eyeball. This may sound very gruesome. Nonetheless, the culture at that point in time was extremely cruel. It was a common practice for people to keep souvenirs of public executions. There were accounts that the beheading of King Charles I of England was accompanied by people dipping their handkerchiefs in the blood of the king.